Please call Nathan Hale Inn Front Desk at 860.427.7888 to make your own reservation for this event. Standard guest room (King or Two Queen Beds), the standard guest room rate would be $119 plus tax per night based on hotel availability only. If you do not a triple twin room type, you need to request this standard room at time of reservation and based on hotel availability only. Please call the hotel directly to cancel your reservation by 3pm day before arrival. Hotel requires 24-hour advance notice of cancellation to avoid forfeiture of one night’s room and tax. ALL GUESTS MUST PARK WITHIN OUR GATED PARKING LOT & DESIGNATED AREA. Please register your vehicle at the front desk at check in. and display your parking pass on your dashboard at all times. The Nathan Hale Inn & Conference Center is a 100% smoke-free environment. 100% non-smoking will be within the confines of the hotel including guest rooms, foyer, meeting and catering space, pool area, lobby, workout room, The Blue Oak and True Blue Tavern. Please be aware of this policy as the hotel will impose a $200.00 fee for smoking in a non-smoking area. 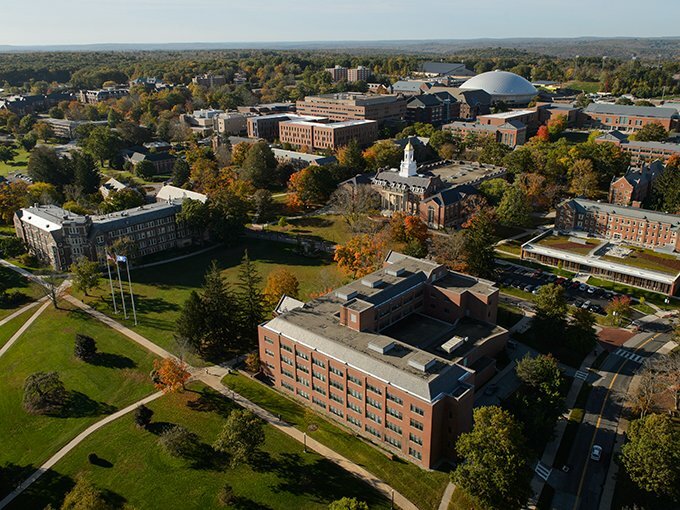 A large, 4-year, public university. 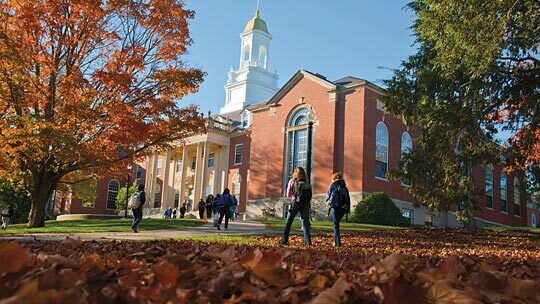 This coed college is located in a large town in a rural setting and is primarily a residential campus. It offers diploma, associate, bachelor\'s, master\'s and doctoral degrees. 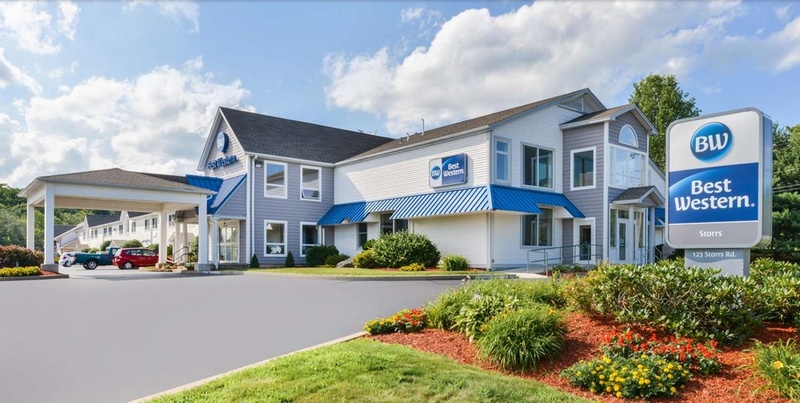 This straightforward hotel is a 4-minute walk from East Brook Mall\'s shops and eateries, 3.3 miles from Mansfield Hollow Lake, and 6.4 miles from the University of Connecticut campus. The unfussy rooms come with free WiFi, cable TV, and coffeemakers; some rooms add microwaves and minifridges. Complimentary continental breakfast and parking are provided. Amenities also include a fitness room and a business center, along with an indoor pool and a hot tub.